ET WebDesign is premium and free Responsive Web Design WordPress Theme that targets for web design website. 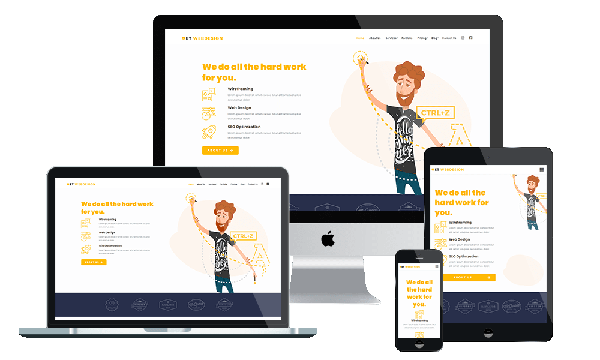 Here you can find attractive and multi-functional Web Design WordPress Theme either for web development agency, or a small person-driven web design studio. Big sliders with various transition effects, multitude textures turned into original backgrounds, featured images with a creative implementation of grids, catchy fonts – all these benefits will impress your potential clients and present your project in the most favorable colors. Intuitive navigation and thought-out content arrangement. Fully responsive design of these Graphic Design WordPress Themes ensures your website will render perfectly well on a plethora of digital devices. This is why you don’t have to be afraid of losing mobile traffic. Opt for the best Web Design WordPress Theme to build a professional looking online resource in nothing flat!